Erik Ekvall graduated from Wake Forest University School of Law in 1985. 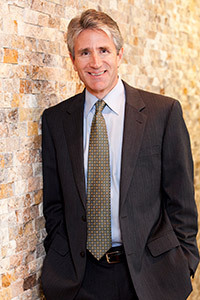 He moved to Dallas and began his insurance defense litigation practice, defending numerous first-party cases against insurance carriers in areas such as breach of contract, violations of the Texas Deceptive Trade Practice Act and Insurance Code, and breach of the duty of good faith and fair dealing. Many of these cases arose out of claims that the carrier had denied based upon arson or fraud, and virtually all involved exposure significantly in excess of the carrier’s policy limits. Erik subsequently joined the Dallas firm of Page & Addison, P.C. in October, 1990, where he headed that firm’s insurance defense section, handling general liability, employment and workers’ compensation litigation within Texas and supervising and directing the handling of insurance defense litigation throughout the country on behalf of Club Corporation International. Erik continued to practice primarily in the area of insurance law, particularly property, personal injury, transportation and first-party insurance defense litigation until he joined with Rick Byrne in founding Ekvall & Byrne, L.L.P. in June, 1999. Claims arising out of the theft of trade secrets and customer lists by a departing sales manager and employees. In addition, Erik has tried many arson, insurance fraud and bad faith cases. Erik has spoken before insurance industry groups on many topics, including proper claims handling and claims investigation techniques and compliance with DPTA and Insurance Code guidelines.